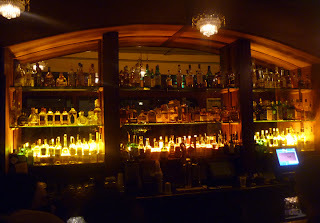 The Bourbon Bar just opened in August 2010 in conjunction with the refurbished Columbia City Theater, and the owners managed to snag Kim Warnick (of the Fastbacks and Visqueen) from the Cha Cha. One might expect that a bar opened in the midst a cocktail boom and named "Bourbon Bar" would have a mind-blowing array of whiskeys, and some of the city's leading mixologists devoted to them. The Bourbon Bar is not that, although they do have a moderate selection of whiskeys and whiskey-based cocktails, which may not be particularly well made, esp. if you are in the middle of a surge of customers waiting to get into a neighboring show. 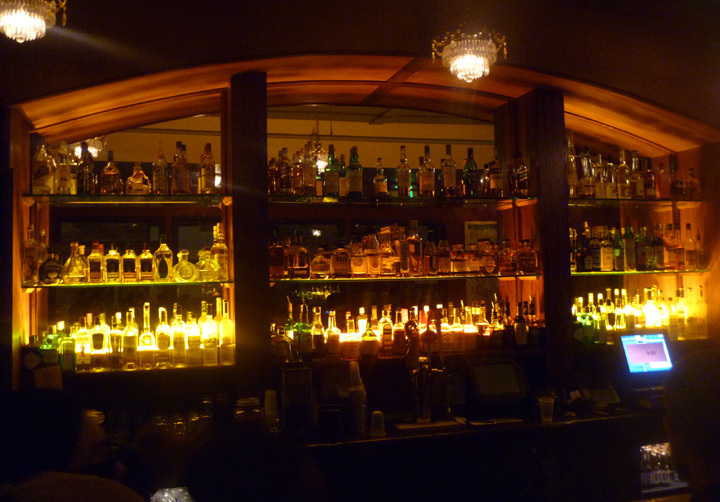 But while the drinks are only average, it does have a pleasantly dark and woody decor and usually a pleasant crowd.